Shucking, as the practice has come to be known, is the process of buying an external drive, opening it up, and removing the bare drive for use within a PC. It seems crazy, but sometimes, buying an external drive can actually be cheaper than buying a similar internal drive with the same specs. 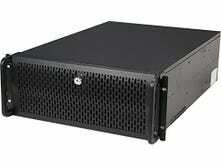 The Western Digital Easystore is the most popular drive for shucking. This 8 TB, Best Buy-exclusive external drive usually retails for around $190, though it frequently goes on sale for $180, $170, or—occasionally—even lower. Once upon a time, you could open up this drive and find an 8TB Western Digital Red drive inside—in and of itself a $280 product. The economics of this elude me, but as a result, drive shucking became a common practice among savvy NAS users. These days, things are a bit more complicated. It seems less likely to uncover Western Digital Red drives in these enclosures, presumably thanks to Western Digital catching on to the practice. Instead, a lot of people are finding similarly-specced “white label” drives inside Easystores. 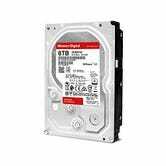 They have slightly different model numbers than their Red counterparts, and the Easystore has a 2-year warranty instead of the bare Red drives’ 3-year warranty. But otherwise, the white label drives appear to work just as well...with one caveat: compatibility. Some of these white label drives use SATA revision 3.3, which includes a new feature that can disable power to the hard disk. If you have an older power supply that doesn’t support this feature, a white label drive may not spin up when plugged into your computer. There are, however, workarounds (more on that in a minute), and in some cases, it’ll work just fine out of the box—particularly on PCs with newer power supplies, as well as many NAS devices and server cases. I found that it works just fine in this Rosewill case, which I use to house my custom-built home server. You can read more about the white label drives, and which power supplies are known to work, in this thread at /r/datahoarder. 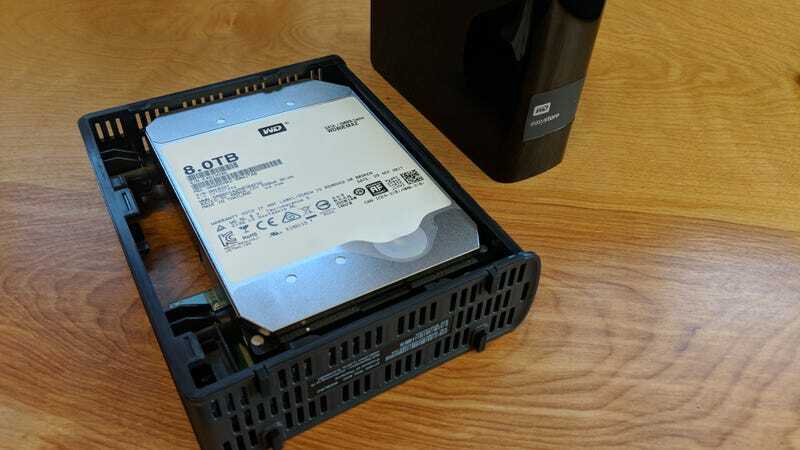 Certain model white drives are also thought to be immune from the SATA 3.3 problem, but the workaround is easy enough that I wouldn’t fret over it—just grab an Easystore, bring it home, and prepare to shuck. A set of small screwdrivers with both phillips and torx heads. 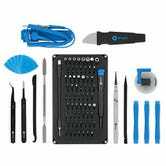 I have an iFixit Pro Tech Toolkit for just such occasions. Some small pieces of thin plastic—guitar picks work great, but if you don’t play guitar, a cut-up gift card or credit card will also work. 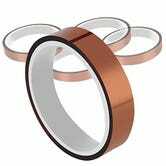 Some kapton tape—only necessary if you run into compatibility issues along the way. This video, embedded above, is probably the best walkthrough of the process, though this one was also a bit of help. Go slow, be patient, and try not to break anything. That way, you can keep the enclosure in a safe place, and if the drive dies within two years, you can pop it back into the enclosure and get it fixed or replaced under warranty. Once the drive is shucked, slide it into your computer or NAS and see if it’s recognized by the operating system. If it is, you’re good to go—load up that sucker with all the personal photos, vile backups, and...um, Linux ISOs you want. If the drive is not recognized, however, then you are likely a victim of the SATA 3.3 mismatch. But do not fret—there is an easy fix. You just need to cover up the 3rd pin of the SATA power connector with some kapton tape, as shown in this video. Once you do, the drive should work normally on any power supply, with no ill effects. Some folks, alternatively, recommend using a SATA-to-Molex adapter to power the drive, but I’ve heard enough horror stories about cheap ones catching fire that I’d rather not risk it. That all sounds complicated, but it’s actually pretty simple. Surprisingly, the hardest part of the process was actually getting the damn enclosure open. There are threads upon threads discussing which drives are best and how to find them, but with things in constant flux, you’re better off just winging it and being prepared for the worst. It’s not a bad way to save $100.